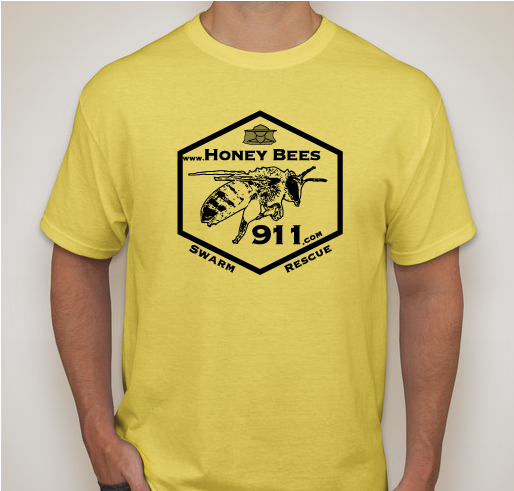 Buy a shirt to help support HoneyBees911.com and our public swarm reporting service! If you see a swarm, file a report with HoneyBees911.com to find a local beekeeper who can safely capture and relocate the honey bees. 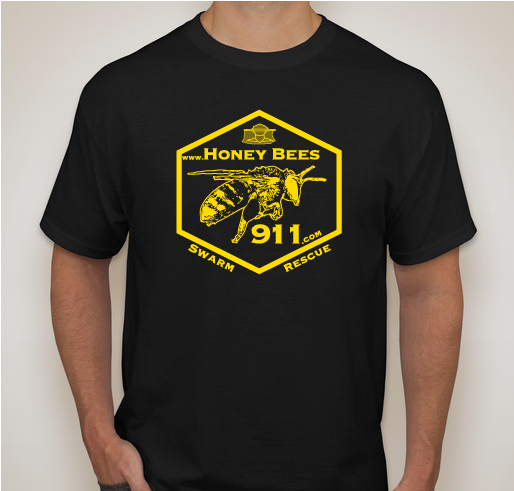 All funds raised will be paid directly to Honey Bees 911 for Supporting and expanding our program. 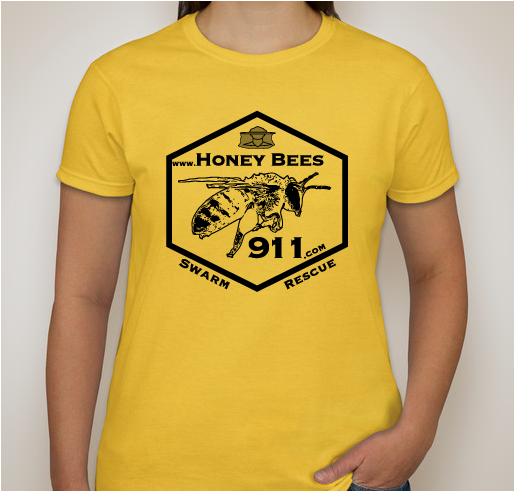 Funds from T-shirt sales will help finance our online swarm rescue program. Honey bees, which play a huge role in the production of our food, are in extreme danger of dying off and are faced with a number of diseases and viruses contributing to their demise. We're on a mission to collect crucial data that can help aid efforts to find solutions for preserving and protecting the species. By wearing one of our shirts, you're raising public awareness about the dire need to research and save these fragile little creatures. You can also choose to donate directly to our program at checkout. We have a series of honey bee products that we would enjoy sending you to show our gratitude. 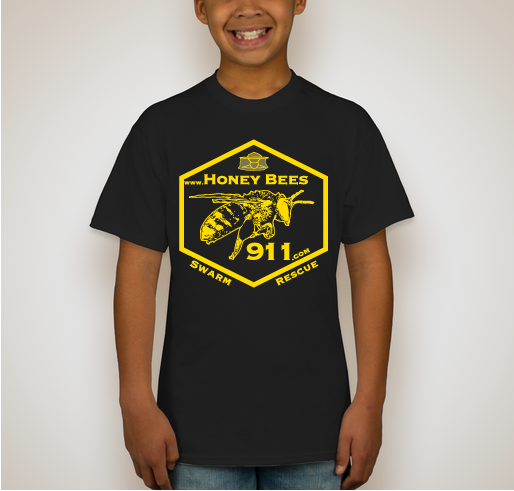 Please see honeybees911.com for more details. We welcome ideas and suggestions! 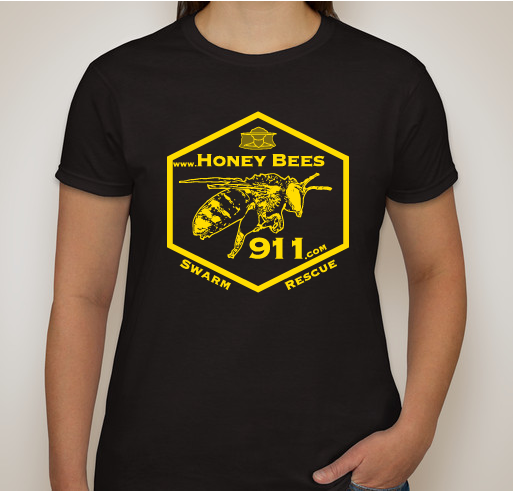 Email contact@honeybees911.com to contribute ideas and/or request more information. 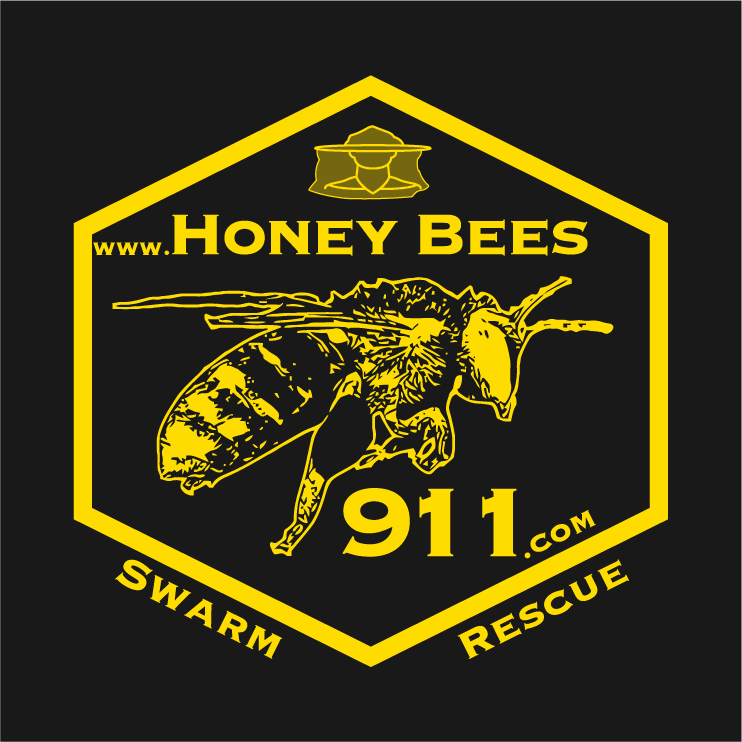 HoneyBees911.com, is a public reporting system to help connect escaped honey bees with beekeepers, so they can be safely captured and relocated. Swarming is the process by which a queen bee leaves the original colony with a large group of workers in search for a new home. It’s mainly a spring phenomenon, and it’s like nature’s way of doubling down on the species. Honey bee swarms collect in large clusters that are sometimes bigger than a basketball. A healthy one can contain thousands to tens of thousands of bees! They’re not dangerous, but you should keep your distance and contact a local beekeeper. That’s why we’re creating HoneyBees911.com. If you see a swarm, go to HoneyBees911.com, enter your location, upload a picture (if you can safely do so), and click submit! We show you a list of all the nearby beekeepers and give you a phone number to call. Once you connect, a report is filed with our system and a beekeeper shows up to safely capture and remove the swarm. Quick, easy, and effective! Our program is founded in New York’s Hudson Valley, and we already have swarm chasers signed up from all over the Northeastern United States. We’ve got members from the Ulster County Beekeepers, Beekeepers of Shawangunk, Southeastern Beekeepers Club, Catskill Mountain Beekeepers Club, Southern Adirondack Beekeepers Association, Colombia County Beekeepers, and Southern Tier Beekeepers – just to name a few! That’s all across New York, down to New Jersey and Pennsylvania, and over to Connecticut and Massachusetts! Beekeepers are catching the BUZZ, they’re on board, and anxious for your help to preserve and protect the species! 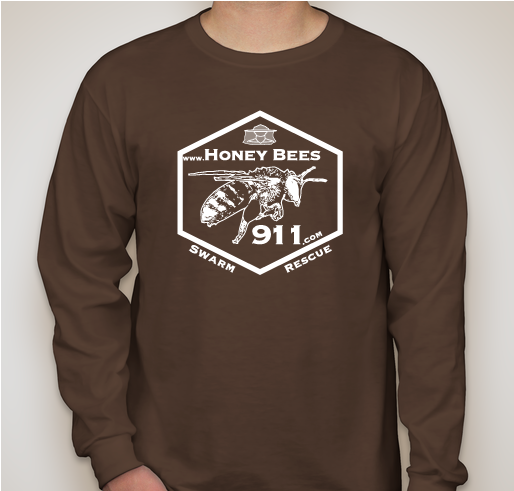 Share Why You Support "Honey Bees 911 Swarm Rescue Program (Custom Shipping)"